Building a website based on one of the most recognized and respected brands in the world was both an extreme honor, while at the same time, an extreme challenge. The success of this project was the result of a team of exceptionally talented, extremely creative, and ridiculously driven staff. BMW has some of the most strict brand guidelines ever created. There were many factors that could have restricted our creativity on this project, but in the end we were able create a platform that not only paid tribute to this legendary brand, but also gave consumers the full dealership purchasing experience without ever leaving their homes. Our approach to the user experience was driven by the goal of re-creating the in-person shopping experience online. 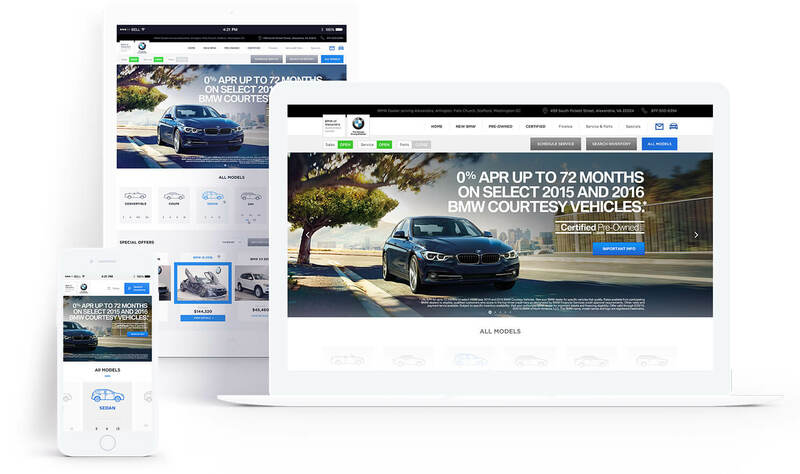 This dealership recognized that people really don’t enjoy the car buying experience, and they were determined to create an exceptionally easy shopping experience online, with 360-degree videos, online chat, and personalized test drive appointments. How do you get that “New Car Smell” online? 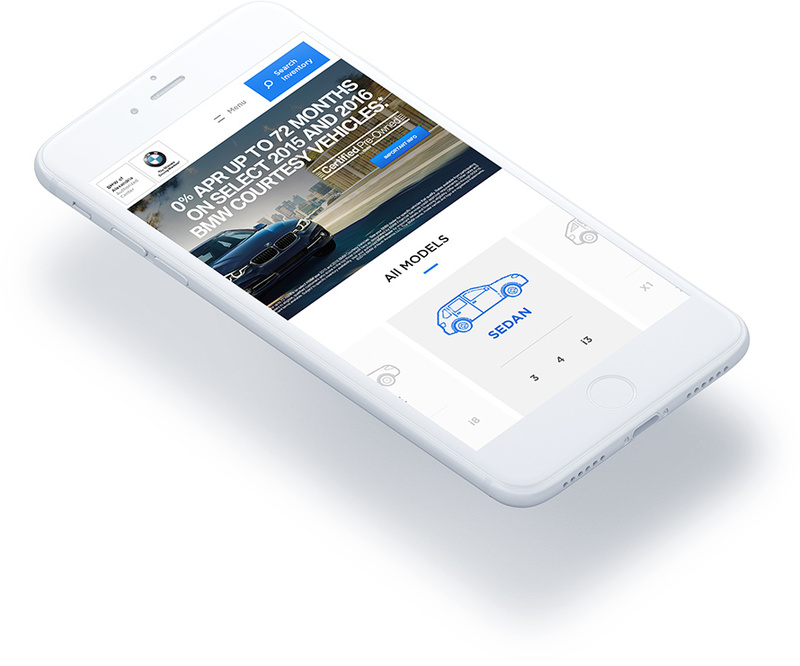 It’s not easy to sell a major item like a car online and make people feel confident about their decision, but the first step is to make the navigation easy and enjoyable. Advertising and marketing have acquired a video addiction, and for good reason. 40% of people currently shopping online will not buy a product without some kind of interactive view or video of the product in action. This number gets exponentially increased in the automotive market. We need to imagine ourselves in that car careening down a misty ocean highway, and without video we are left starring at a motionless object, devoid of emotion or inspiration. Developing a system of shared iconography, a well structured site map, universal menu structures and user-focused design makes it easy for shoppers to continue their experience back and forth between whatever device they have handy. Most of the style guide elements were dictated to us for this site, however, we implemented the use of gradient color usage and was able to juxtapose unique font treatments with engaging photography to give this site spirit or movement and excitement throughout.